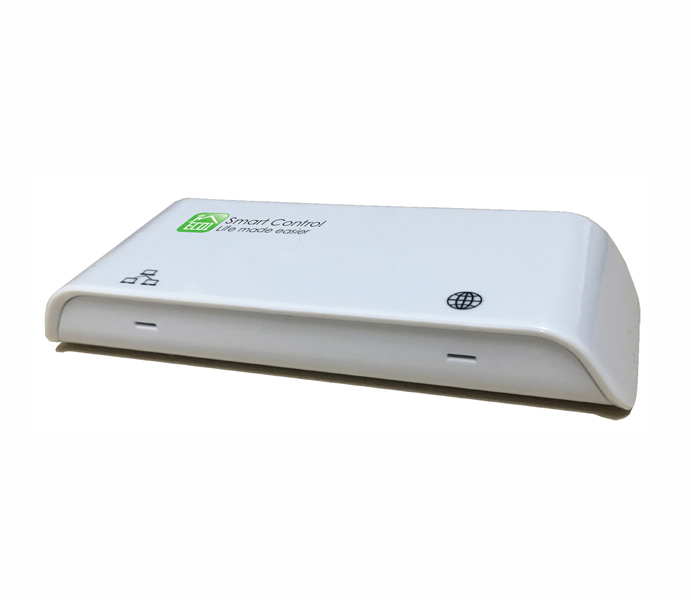 ECO1-Smart Gateway is used to link your ECO1-Smart products with your mobile phone and give you the ability to controlyour devices locally or via the cloud. 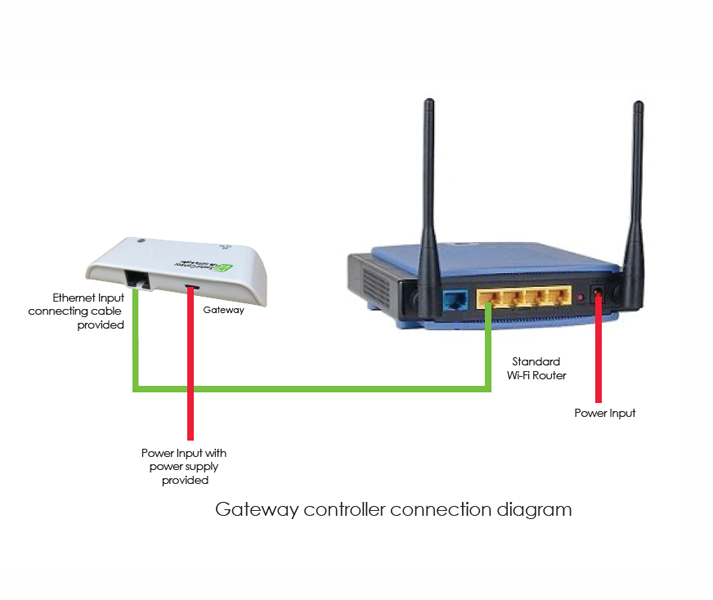 The gateway can be connected into any standard router, simply plug into the router, scan the IR code on the gateway from the ECO1-Smart App on your phone and the gateway is ready to use. 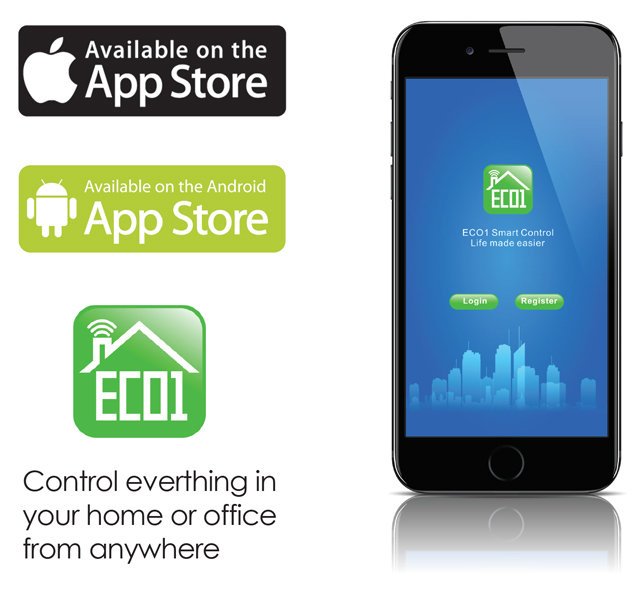 It requires no complex connection or programming to make it work, you are now able to control lighting, appliances,TV?s and air conditioning locally or from anywhere in the world.